Why Choose Genmor Plumbing, Inc. When your plumbing is giving you headaches, there is only one company to call. Genmor Plumbing, Inc. is your San Jose plumber dedicated to your complete safety and peace of mind. Call now at (408) 933-9874 to discuss your needs. Click here to access our latest coupons and specials and save on your next service! 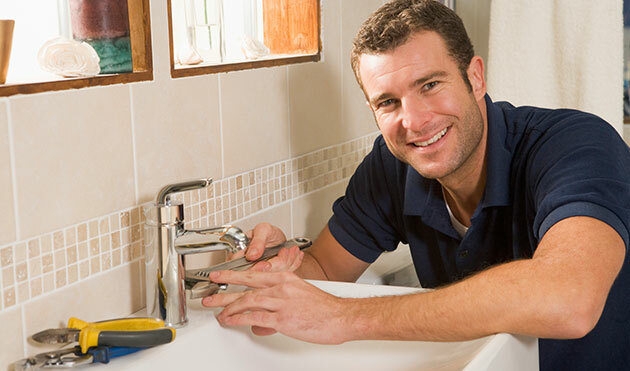 Are you looking for a reliable San Jose plumber? You’re in the right place! Genmor Plumbing, Inc. has your best interests in mind and will go above and beyond to make sure you receive the right solutions. Curious to see what your neighbors are saying about their experience with us? Click here to read their latest reviews. We saw the need for quality plumbing services at affordable prices in the Bay Area. That’s why you only receive the best value when you work with us. We provide honest recommendations that solve your specific problem and guarantee your long term peace of mind. You will never receive a “band aid” service or a one-size-fits-all solution. Our work is tailored to your particular situation and carried out to ensure that the results are exactly what you need. You won’t find us cutting corners just to save a few dollars. We use quality products and materials, and inspect the results in detail to make sure everything complies with local code and regulations. This ensures that you are left with quality plumbing for years to come. Solid warranties: You receive a lifetime warranty on repiping services, as well as an 18-year warranty on sewer line services. No hassles at the end, just quality results you can trust. Honest service: We offer free estimates and upfront, honest pricing. No hidden fees, no upselling, no gimmicks. You will know what to expect from start to finish. Safety guaranteed: Our company is fully licensed and insured for your protection. You can be confident that you are dealing with industry experts who will keep you and your property safe. Onsite supervision: Every large-scale job is presided over by an onsite foreman and field supervisor to guarantee compliance and quality. No subcontractors: We only send our own in-house experts to your property, never a third party contractor. This ensures your safety and long term peace of mind. Whether you need repiping, water heater replacement, sewer line repair, or other plumbing problem fixed, we are here to help. Enjoy full-service plumbing care at a great value from a team that has you as our number one priority. Genmor Plumbing, Inc. is the Bay Area’s trusted expert, so give us a call for that second opinion! Call us today at (408) 933-9874 for your free estimate. We will help you get your plumbing problem under control so you can return to your normal routine in no time.